Waymo -- the self-driving-car unit of Alphabet (GOOG - Get Report) , (GOOGL - Get Report) -- was granted permission this past week by the state of California to operate a driverless vehicle without a test driver. Many people don't realize how much autonomous testing is done in the state, with permits being issued all the way from the largest U.S. company, Apple (AAPL - Get Report) , down to small start-ups. However, they are all required to have test drivers behind the wheel. Alphabet, Amazon, Facebook and Apple are holdings in Jim Cramer's Action Alerts PLUS member club. Want to be alerted before Jim Cramer buys or sells GOOGL, FB, AMZN or AAPL? Learn more now. For Waymo to be the first says a lot about where the company is in terms of the autonomous driving leaderboard. Many companies are at or near the forefront of the autonomous driving race, but not all have the same ambitions. For instance, Nvidia (NVDA - Get Report) is a top player, but more so from a hardware perspective. Whereas a company like Waymo is a leader in the actual commercial application of Mobility-as-a-Service (MaaS). Others are the mix too, of course. Daimler (DDAIF and Bosch recently selected Nvidia to power its MaaS ambitions. There's also General Motors (GM - Get Report) - shares of which are up big this week after blowout earnings - which is becoming a big player in the MaaS space thanks to its Cruise unit. Incidentally, Cruise has gone from a $1 billion entity when GM purchased it in 2016 to a $14.6 billion entity following investments from SoftBank and Honda Motors (HMC - Get Report) this year. Notably, though, Cruise, a company many consider the No. 2 behind Waymo, hasn't obtained the fully autonomous permit in California. So what exactly is this permit? 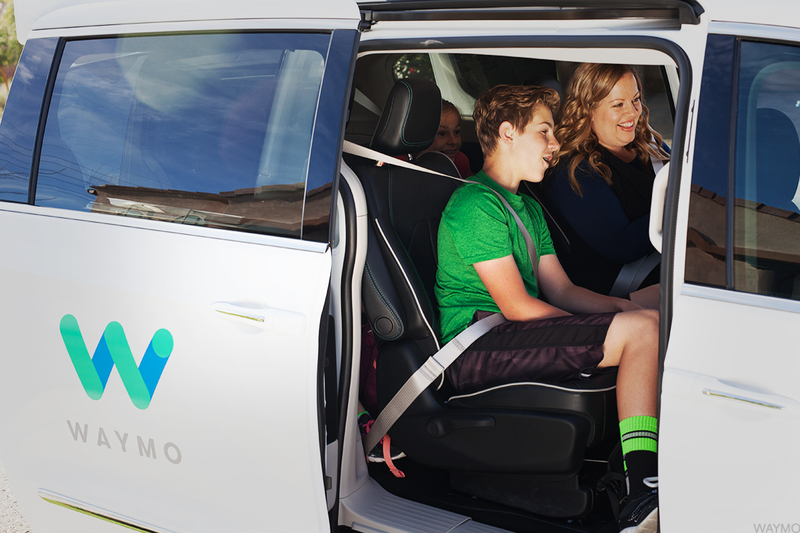 It allows Waymo to test day or night on city, rural and highway routes with posted speed limits up to 65 mph. The company can also test during periods of fog and light rain -- not all that uncommon for those of you familiar with the Bay Area. In a statement, the company said it will test in the neighborhoods of Mountain View, Palo Alto, Los Altos, Los Altos Hills and Sunnyvale. In other words, they're staying close to home for now because "we know this area well," Waymo says. When Alphabet reported earnings a few months ago, most were focused on the company's larger businesses and metrics. Things like cost per click, YouTube and search. All very understandable given the size that Alphabet has become. But tucked away inside that quarterly conference call was some key information from CFO Ruth Porat. "I think the main point, we've said this repeatedly is that, we are intently focused on safety first and ensuring a great user experience," she said. Adding that the company has begun to experiment with pricing in its pilot program out in Arizona. That was news to most investors. Not that this pricing experiment would constitute as revenue more so than Waymo striking a balance between generating sales and providing value, but it's a sign that perhaps Waymo really will commercially launch its autonomous driving platform by year's end -- a target that many believed was no longer likely. The company has logged 10 million real-world miles and continues to add about 1 million miles a month to that sum. On the simulation side, it's logged over 7 billion test miles, as Waymo continues to refine its service. It still has a long ways to go, but commercializing its Arizona operations and becoming the first permit holder for fully self-driving vehicles in California is a darn good start.